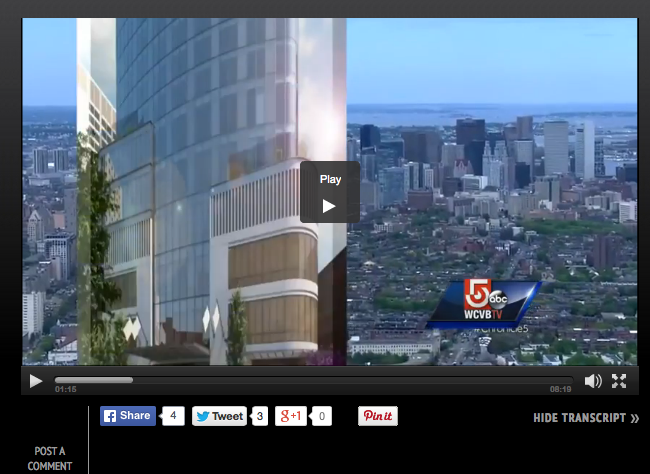 Watch as Chronicle explores Boston's current building boom and the new icons that will be changing our skyline, including Millennium Tower and One Dalton. BOSTON IS CURRENTLY THE DARLING OF INTERNATIONAL BANKS AND REAL ESTATE FUNDS. IN THE VIDEO, TED REINSTEIN TELLS US THESE INVESTORS IN EUROPE, ASIA AND SOUTH AMERICA ARE FUELING THE BIGGEST CONSTRUCTION BOTTOM THE CITY HAS SEEN IN HALF A CENTURY.